Here are a couple of FORD `T` models, the most popular runabout cars which began to appear in numbers after the First World War. 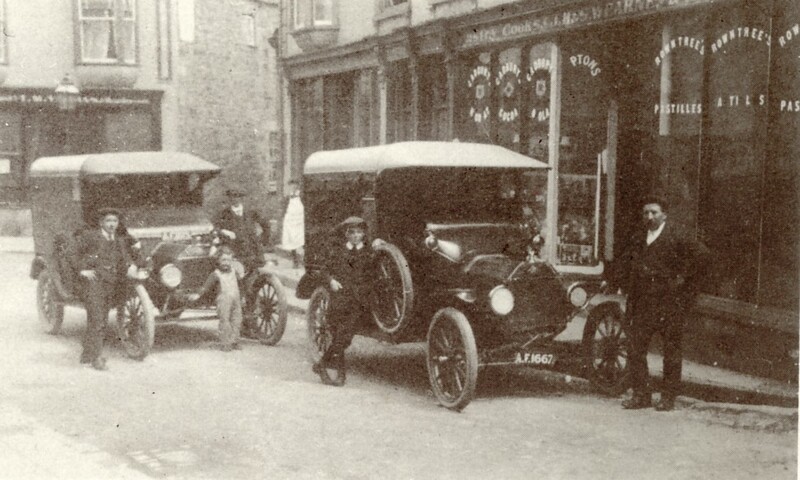 These vehicles were owned by J.H. & S.WEARNE, Bakers and Pastrycooks at their Church Street Branch, Helston. They are about to set off on their daily country delivery.